Founding partner, Jeffrey D. Urbach, has over forty years experience in public accounting. He has also been an active educator in the public accounting profession. 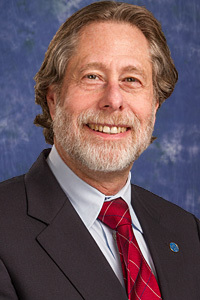 Jeff served as a full time Lecturer at Rutgers University from 1978 to 1985. He has also taught and lectured at his MBA Alma Mater, Rutgers Graduate School of Business. Jeff has written and co-authored Continuing Professional Education (CPE) courses in the area of business valuations and matrimonial accounting and continues to teach on a local and national level. Jeff is a NJ Rule 1:40 Court Approved Mediator: Civil, General Equity and Probate and Economic Aspects of Family Law Cases. To view Jeff’s curriculum vitae click here. Real estate partnerships-the audit, taxation and related issues of privately owned real estate partnerships including public housing, multi-residential and commercial property. Financial Benchmarking- how does your business measure up to your peers? Matrimonial Accounting and Matrimonial Dispute Resolution though Mediation or Collaborative Law.